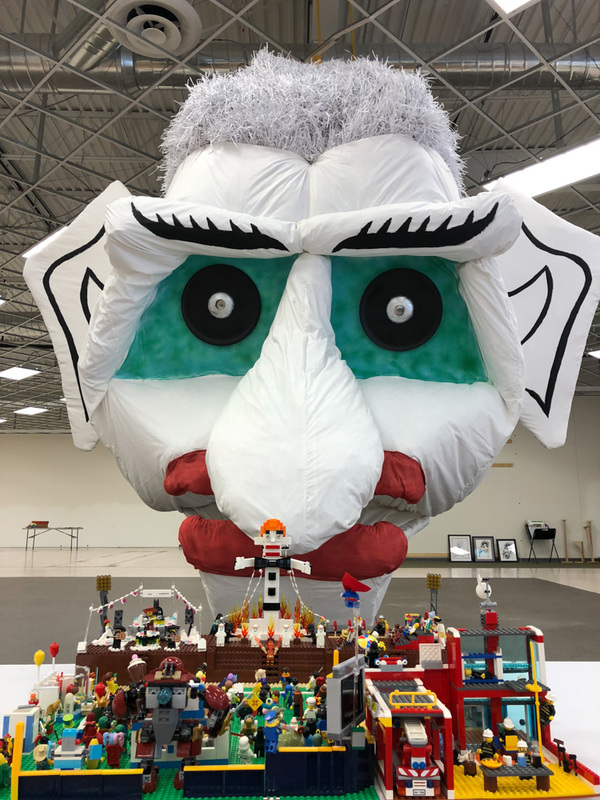 ABQ-live sat down with Santa Fe resident and ZOZOBRA LEGO creator Robert Pineda to learn about his history with Zozobra, his hometown of Santa Fe and what inspired his LEGO tribute to the Santa Fe annual tradition known as Zozobra. 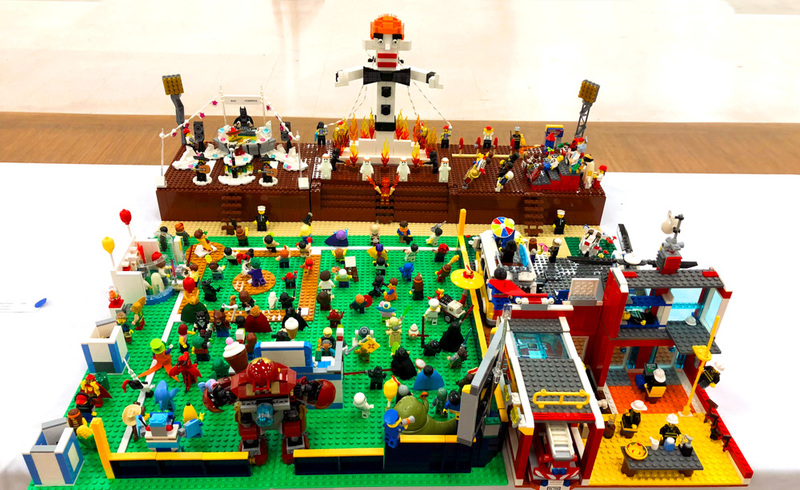 What inspired you to make a lego Zozobra? I attended Zozofest (Zozobra Art Show) in 2016 and was in awe of all the amazing art work. 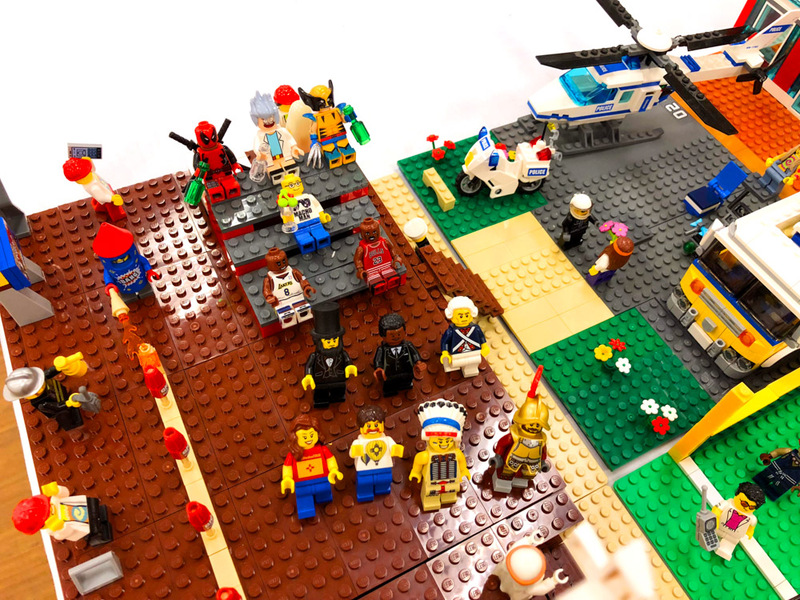 After I left the event I went home and The Lego Movie was on and that got my mind going. A few months later I had came up with a design and started building. The set I made for last year’s Zozofest (2017) was much small in size in comparison to this year’s set. 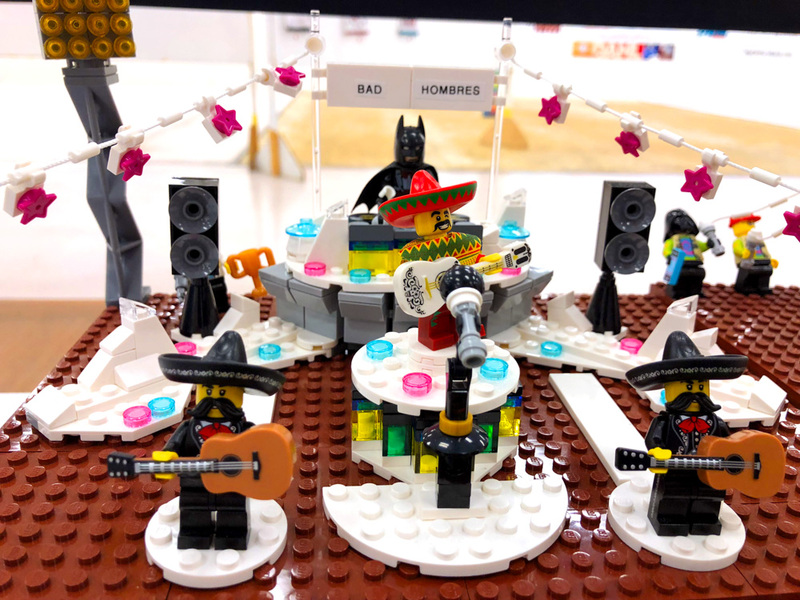 How long did this particular model take and about how many lego pieces do you think it contains? That question is a bit tricky. So I started buying parts and minifigures in January of 2018 so I wouldn’t be last minute on putting it all together. I when I was about 75% finished it was accidentally destroyed in late June. After some convincing from friends I restart putting it together in late late July and finished it in about 3 weeks. As far as actual time spent on it, I would have zero idea….too much time. 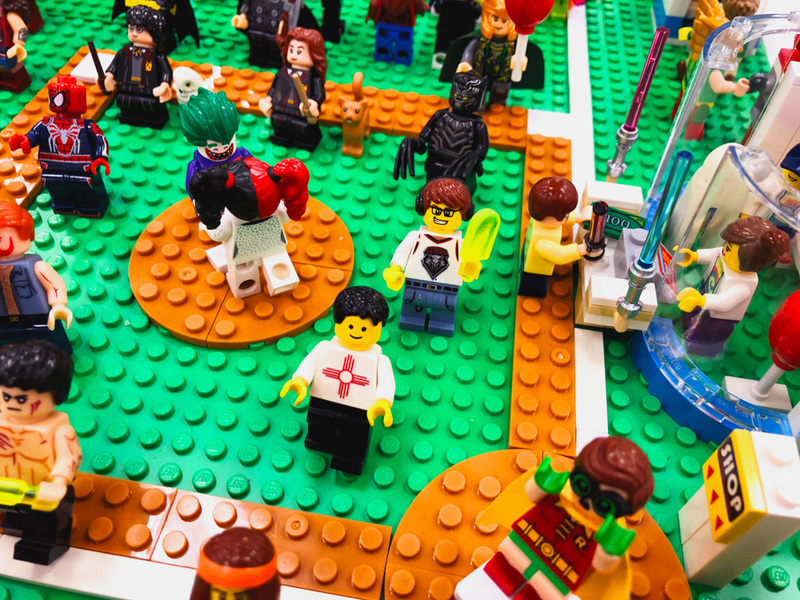 To give you an idea on time it contains around 3K in pieces (mostly in the stages area) and over 140 minifigures placed in predetermined places with emotions on them varying from happiness to running to flying in like Superman and heck some people are taking selfies. For those of us who don’t know too much about lego models, can you talk to us about the process of building something like this from scratch? Plan in advance!! Take notes on parts you need and don’t loose those notes like I did. Prepare for the worse then watch it happen. Draw out or write down exactly how you want it to look, winging it only makes it worse. Organize legos by color. If you don’t know how to build something look up videos, get ideas from other sets and ask questions on message boards. Set a budget and be prepared to go over budget. Most of all have fun doing it. 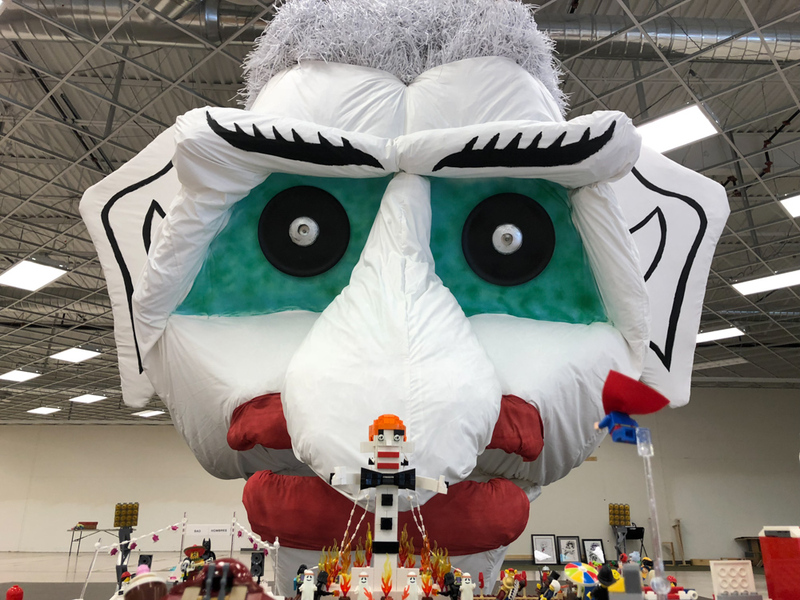 Speaking of Old Man Gloom, will you be at Zozobra tomorrow night? I will be. 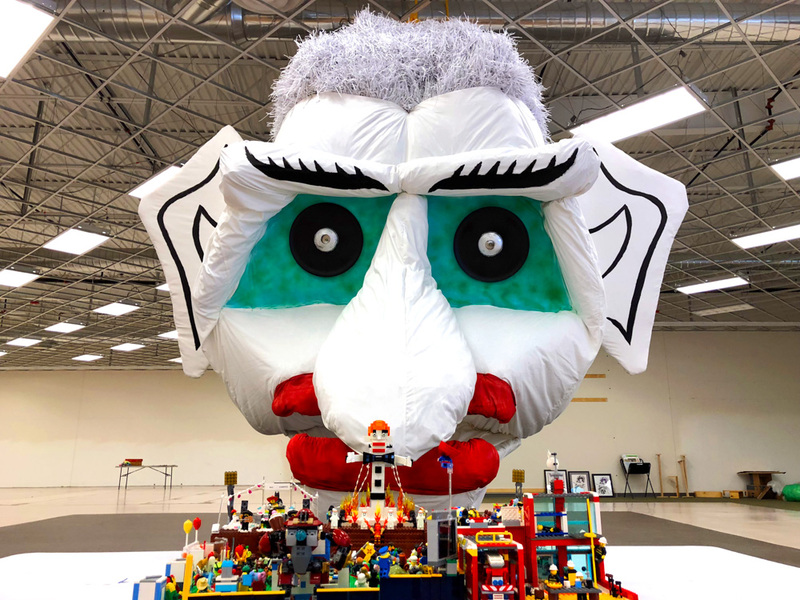 I am a member of The Kiwanis Club that puts Zozobra together so I will be working the event as a liaison for Meow Wolf who will be at Zozobra live streaming the event. More than expected. KOB (Channel 4) KOAT (Channel 7) showed footage they shot of it on the news. The Chive posted a meme I made from a picture of the set. The New Mexican had pictures of it in their newspapers and social media page and ABQLive of course. Also from September 7-28 it will be at an art gallery on Historic Canyon Road. 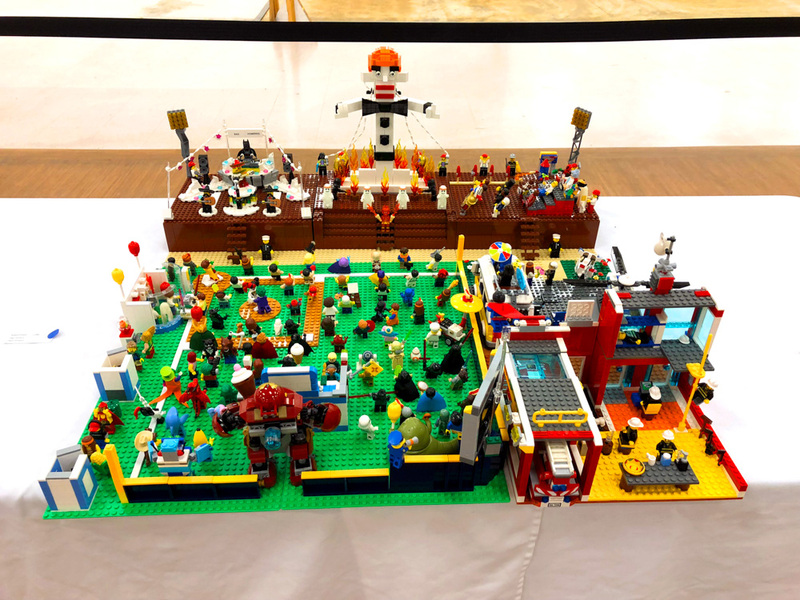 What other models have you created/built from using legos? 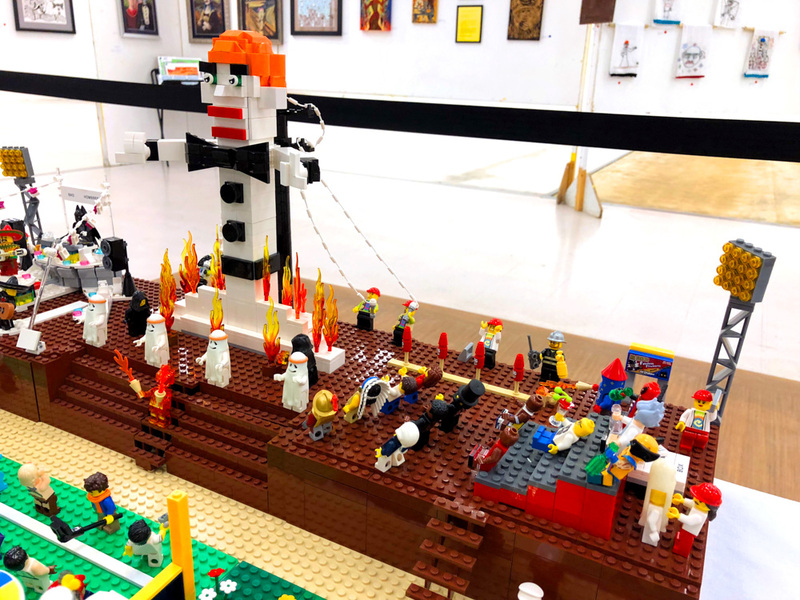 Is there anything else that you would like our readers to know about your Zozobra Lego model? Yeah. I built this set for kids and adults to enjoy. I put in lots of little “Easter Eggs” or tributes to people in the set. If you look at the “VIP” section I’m in there wearing a Macho Man Randy Savage shirt, some of the Zozobra crew can be seen wearing tie-dye shirts in tribute to this year’s Zozobra theme being the 60’s, I have a minifigure in the crowd that was mine from when I was kid way back in the 90’s, the mariachi band lead singer has the guitar from the animated movie Coco, I have a fire station right next to the baseball field just like at Fort Marcy park where Zozobra is burnt, concession stand and a merchandise stand…..lots and lots of little details that are way too long to list.